One of the major iPhone releases in 2016, the iPhone7, is an unusual Apple device. Re-iterating Apple’s vision of thinking beyond the usual, this 10th generation iPhone serves as a gateway for entering future technology. Backed with massive upgrades and remarkable features, the Apple iPhone 7 was one of the most anticipated Apple offerings two years ago but continues to be cherished even now. Wrapped in cases which look identical to its direct predecessors, the iPhone 7 breaks the conventional design of the Apple smartphone. Everything enclosed within the case boasts of Apple’s decision of steering towards a future that turns imagination into reality. Pioneering splash and water resistance, the Apple iPhone 7 is the most durable smartphone when compared to its ancestors. This iPhone has been completely re-engineered to be protected against spills, splash or even dust and has achieved a good rating of IP67. Comprehending user requirements, Apple axed the headphone jack in Iphone 7 to enhance its battery life. 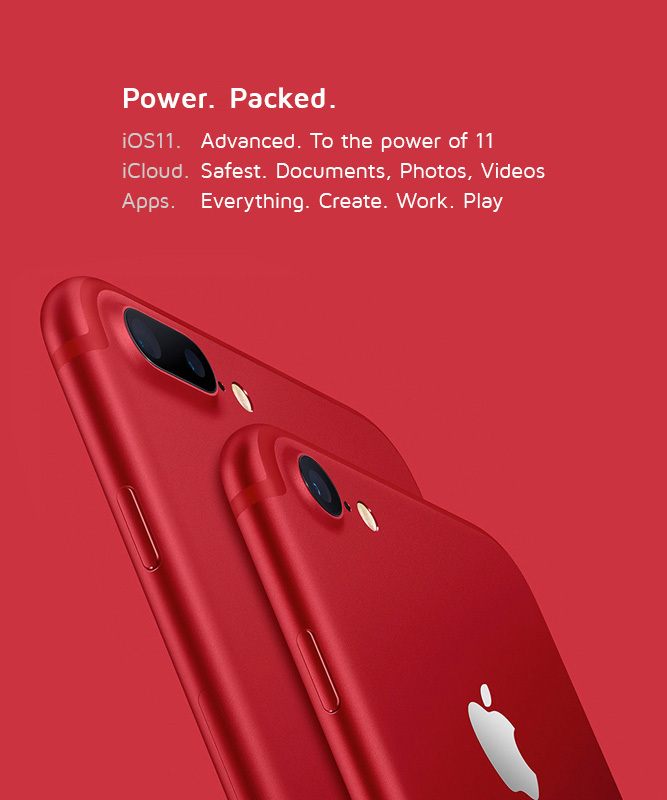 With over 14% more battery space, this revolutionary iPhone has upped the battery capacity to 1955mAh and increased its usage by 2 hours. Which is why price-sensitive Apple lovers looking out for upgrades must buy iPhone 7 to satisfy all their pre-requisites. One among its major upgrades is the A10 fusion chip which substantially increases the phone’s efficiency, elevates the device speed two times faster than iPhone 6 and also enhances its battery life. To offer its users a seamless listening experience even in the absence of a headphone jack, the Apple iPhone 7 introduced the game-changing technology of wireless AirPods. These miniature devices when put into your ears instantly pair with the iPhone and keep you connected throughout. The iPhone 7 is the first among its lineage to install a new home button. One of the cachet features of this device, the home button on this iPhone is an immovable solid pad which functions in tandem with the Taptic engine to provide a favourable feedback. Another remarkable feature of the iPhone 7 is its attractive colour options. Rose gold, silver, black, gold, and jet black are the various options you can choose from. 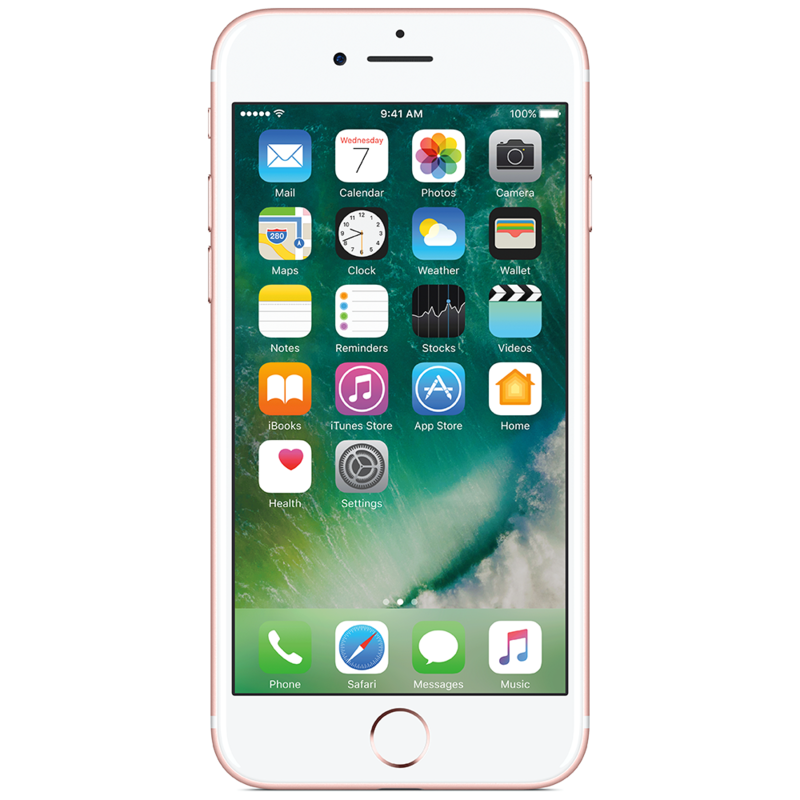 To avail good discounts, you should purchase iPhone 7 online on Maple. Typically, the iPhone 7 price varies from on the basis of its storage capacity. But the Apple iPhone 7 price on Maple is comparatively low across all storage variants. Hence, for all price-conscious iPhone users, the Maple store is the place to be.